These ASICS knee pads are manufactured specially for volleyball players to protect their knees against different injuries, for example, bumps, bruises and abrasions which can be caused by digging, diving, spiking and jumping during volleyball games and competitions. These pads include all those features which are required by professional volleyball players – protection, comfort, flexibility, mobility and breathability. This ASICS product has special gel cushioning system for superior amortization and protection. This gel cushioning is placed in high-impact areas, absorbing shock of blows and providing ultimate protection against severe impacts during digging and diving. These ASICS Setter Low Profile knee pads are volleyball knee pads, therefore, they are made as low profile pads, ensuring better fit and thus comfort. Both of these knee pads have articulated padding which is made of several, separately placed pads, offering excellent fit and comfort, flexibility and mobility, protection and performance even during intensive action. It should be mentioned, that both of these ASICS volleyball pads are specially adapted and anatomically designed for right and left knee, increasing fit, comfort, performance and customized protection. They have special ventilation zones which help to improve breathability and thus comfort. Another special feature of this product is anti-odor technology which eliminates bad odor by preventing bacteria build-up, therefore, sportsmen stay fresh all day long. These ASICS Setter Knee Pads are available in two different colors – black and white, therefore, you can choose the one, which is more appropriate for your taste, wants and needs. As these volleyball knee pads are low profile knee pads, they are lightweight, close-fitting and sleek. Gel cushioning system is providing non-bulky look, but at the same time it is ensuring its protection functions. Considering that these ASICS Setter knee pads are only 7 inches long, they look small and slim. This ASICS product is available only in one size which, as manufacturers say, fits to almost all adults and youngsters. These ASICS Setter Volleyball Knee Pads are intended for knee protection during volleyball games and competitions to prevent different knee injuries. This product is made of synthetic materials and it comes in black and white color. 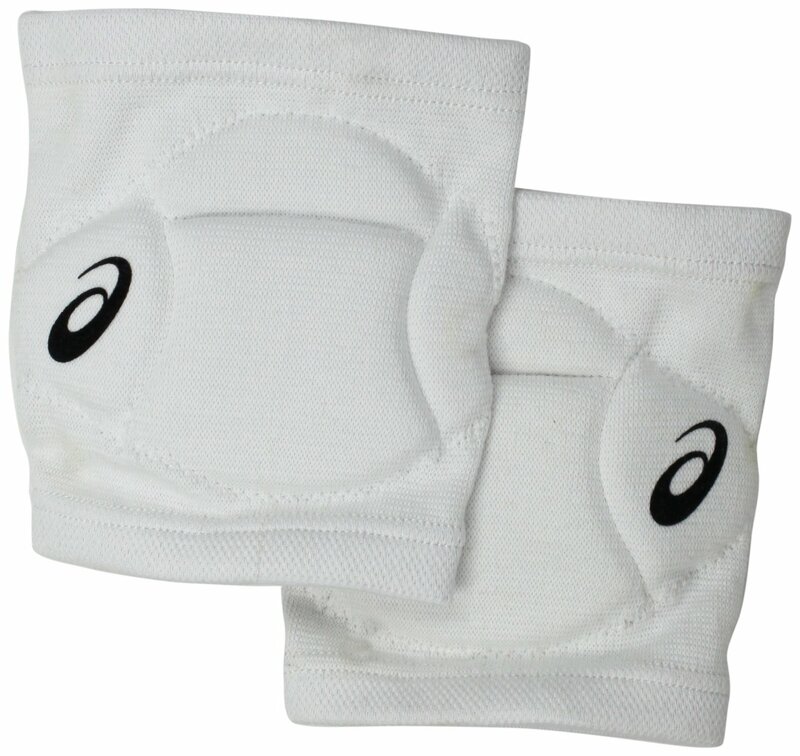 These volleyball knee pads have only one size, but they are suitable to almost all adults and youngsters. This ASICS product has features such as gel cushioning system, low profile, articulated padding, padding for right and left knee, ventilation zones and anti-odor technology. These synthetic knee pads are machine washable and usually they are sold in pairs.